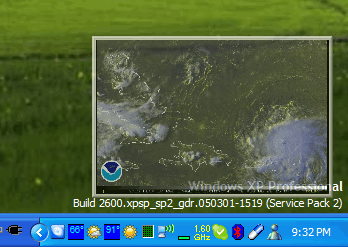 HurricaneView is a tool designed to automatically download and save images of tropical storm regions so they can be viewed as a time-lapse movie in a loop. 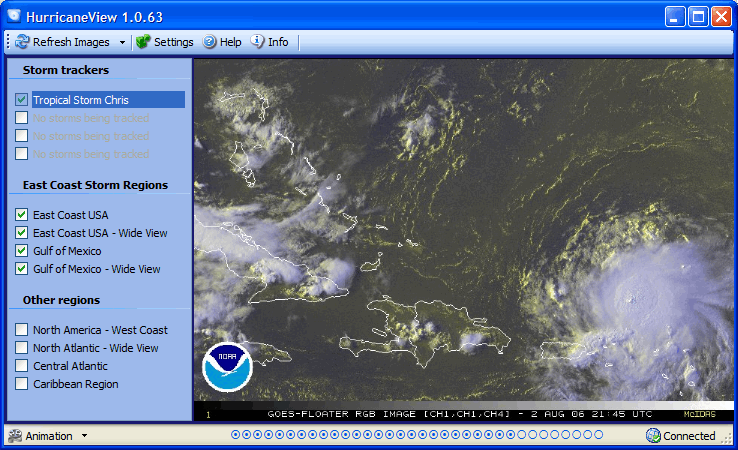 When HurricaneView is active, it will record satellite images of storm regions at regular intervals. 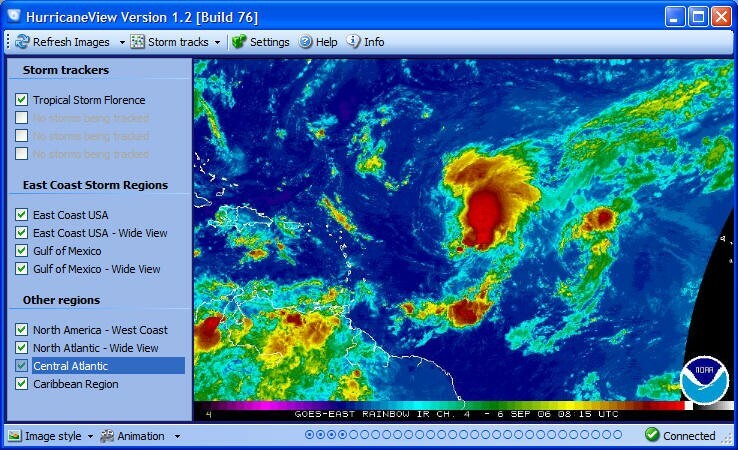 Any hurricanes occurring will be caught and played back in almost real time. Unlike hurricane loops you see on TV or some web sites which show just a short loop that encompasses the last few hours of the storm, with HurricaneView you can have hours, days, or even weeks of images saved and watched as a loop, showing you the whole lifecycle of a hurricane. HurricaneView has two main modes. The main view is where you can see the storm loops in detail and control what and how you want to view them. In the thumbnail mode, HurricaneView will sit as a small (resizable) transparent window unobtrusively at the corner (or anywhere) of your screen. You can keep an eye on the current storms as you work on your computer. This is similar to how the news channels show current storms at the bottom corner of the screen, but now you can have it your your desktop.